Dr. Faheem Hasan Shahed, Head of the English Department of AIUB, participated as a Keynote Speaker in the 2-day “International Conference on Education” at Universitas Negeri Makassar (State University of Makassar) in Makassar city, Indonesia, on 22-23 July 2011. The theme of his keynote speech was the English Language Education in Bangladesh where he dealt with multidimensional ramifications of this issue from historical past to present stature. Dignitaries from various local and foreign universities, academics and scholars attended his plenary session. His speech followed by a lively 40-minute question-answer session and open discussion. 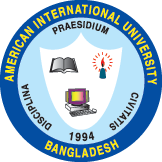 Apart from this, Dr. Faheem was also invited by the Director of Graduate Programs of the University to deliver a 2-hour public speech on ‘Second Language Acquisition Theories and Practices—with Specific Focus on Bangladeshi Realities’ for Masters & Ph.D. students, as well as for faculty members. Similar lively question-answer session followed his presentation. Academics and dignitaries of Makassar University showed keen interest in AIUB and subsequently, Dr. Faheem narrated AIUB’s academic structure in details. Later, the university’s Rector had a separate meeting with Dr. Faheem to discuss the possibilities of future academic collaborations and exchange programs with AIUB. In the closing ceremony, Dr. Faheem was presented with a specially designed memento of the State University of Makassar logo by the Assistance Rector. He also performed some hit Bangladeshi numbers in the official dinner hosted by the Rector’s Office in honor of all the conference delegates.